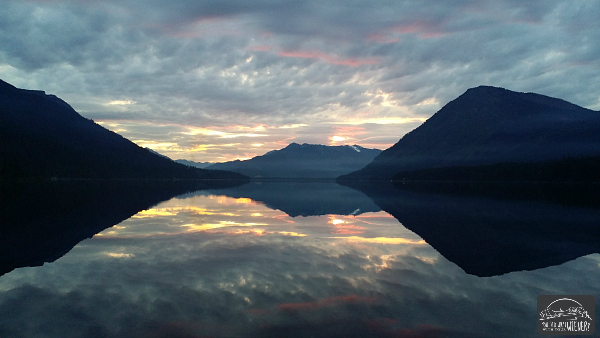 So, when we last left you in Part 1, we were getting lucky camping at Lake Wenatchee and had just witnessed one of the most spectacular sunsets I’ve seen. Our friends saved the morning by bringing coffee, since we had forgotten ours at home (great friends right? ), and we headed to the beach. This has been my most beautiful paddleboard experience to date (well, I’ve only had around a dozen but it’s going to be hard to beat this). The glassy water made for a smooth ride and the magazine-worthy scenery made it feel surreal. Standing tall on a paddleboard gives you a different perspective than if you were in a canoe or kayak. It’s easier to see through the glare on the water surface. It also helped that the water in this glacier-fed lake was crystal clear, but we got to see a lot of fish and a freshwater crawfish (must have been, it looked like a little lobster). We pulled ashore at the YMCA beach, which was not open yet and deserted, to give ourselves a little break and explore. 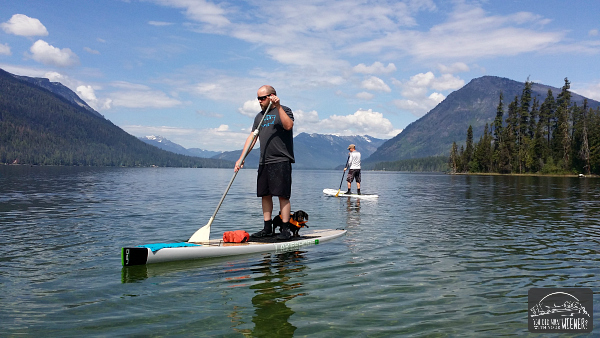 Just like any sport, you have to build stamina on a paddleboard. Your legs and core are always engaged and I am still in the “death-grip-with-your toes” stage of standing on the board. Your toes and legs will probably need a rest at some point when first starting out. We paddled around for a couple of hours with our friends and then a couple more after they left. The weather was too nice to go home just yet so we hung out on the beach for a while after. 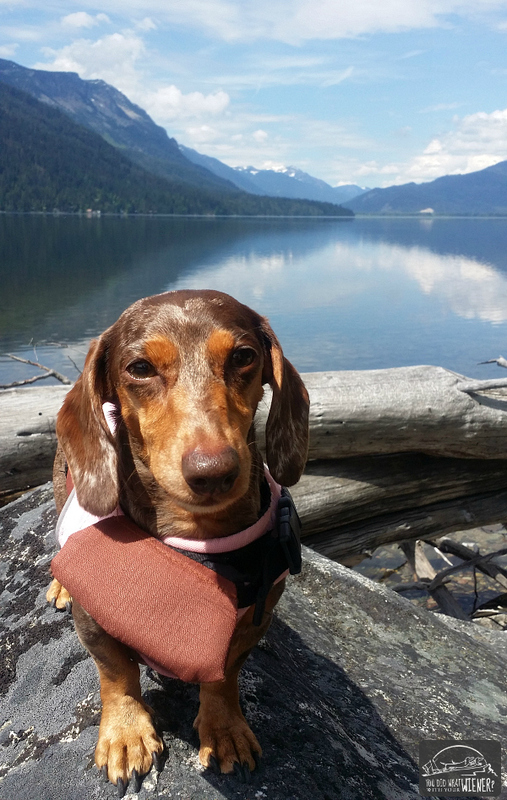 With all of the excitement of camping and paddleboarding, Gretel was exhausted. She looked so precious napping and letting the sand warm her bones. The entire trip was glorious. Sometimes you remember trips because of the things that went wrong – oh the stories you have – but I’ll remember this one because everything was so perfect. 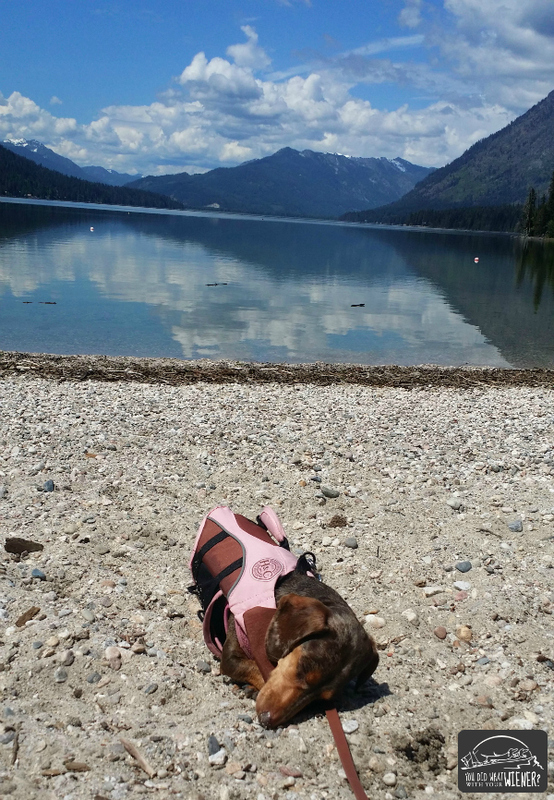 These pictures are stunning, and Gretel sleeping on the sand is too adorable for words. I love being on the water, paddleboarding seems like something I’d enjoy. She slept there for a long time. I couldn’t decide which picture was the sweetest. Ha, ha. I think you would totally like paddlboarding. I never thought I would but it’s something that is easy to fit into your day when you live by water, as opposed to hiking which takes 2 hours minimum to travel there and back. I totally understand! I packed so much sight-seeing into my vacation and yet there was still so much to see. I’m really glad you took me on a mountain since that was the one thing I hadn’t done yet. I felt totally brave and totally scared all at the same time. I still can’t believe how patient you were with me! Keeping my mind off the height of the trail with normal conversation was so helpful… and if Chester and Gretel could do it, so could I! 🙂 I hope to be back someday and maybe we can do some paddle boarding next time. Gretel sound asleep, I think I could do the same thing sometimes on a warm afternoon! Wow! What amazing photos! 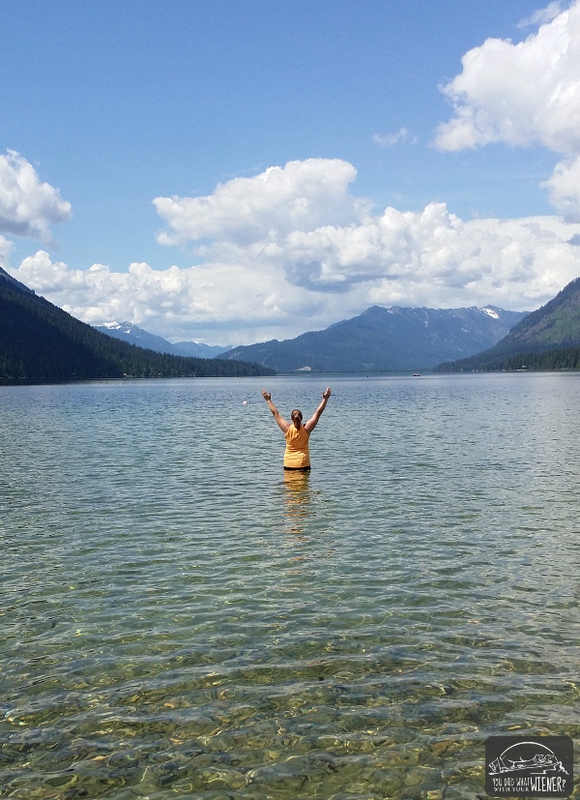 I live in NW Montana on the Noxon Rapids Reservoir (Clark Fork River) and it’s pretty stunning over here, too. If you get a chance, you should take a little road trip to good ole Trout Creek, MT (the Huckleberry Capital of Montana) and check out the area. Bring the dogs! Hi Haley. I guess we got super lucky on this lake. Most of the time it’s very windy there and the water is really choppy. It’s a hot kite surfing spot if that tells you anything 🙂 I’ll always be trying to catch the lake this nice again. I do go to Montana every few years to visit a friend. That is a long way to drive with my paddleboard on the top of the car (wind noise and gas mileage) but I’ll keep Trout Creek in mind next time I go. 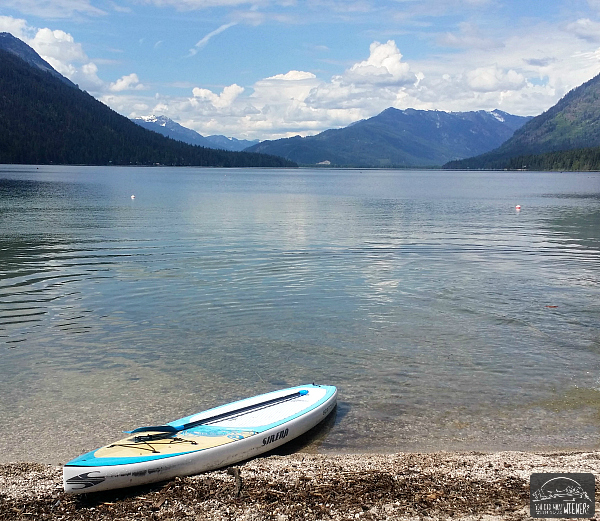 I think it would be fun to paddleboard out of state and Montana is beautiful.